Bread, mustard, cheese, pickles, ham, pork, then cheese again. This is the Cuban sandwich. Our lecture today was on the subject of education in Cuba. I rememeber I had posed a question regarding whether or not Cuban students have the freedom to choose their college majors. The API interpretor, Ana, relayed my question to the lecturer in Spanish – a language to which I am almost a complete stranger. The speaker at first explained that students did indeed have that freedom, but that, like anywhere else, certain fields would require higher test scores than others. I then attempted to probe deeper by asking whether or not there is a quota for each occupational field hiring. The speaker answered, to what I understand, that a “projected” quota does exist for each field. However, for each field of study, you would need a certain amount of credits, and, based on the number of credits you receive, you will be assigned a field based on your top choices with the quota in mind. This policy is similar to ours in the U.S. except that we have no limitations as to the amount of people who can work in each field by the government – though the supply and demand of each field might indicate otherwise. You are given some ingredients and told to make a sandwich. So you do. Next we went to ArteChef. 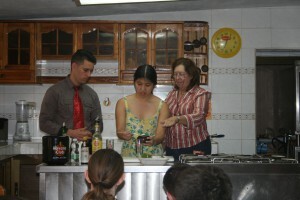 We had the choice of volunteering to participate in one of two Cuban cooking demonstrations. 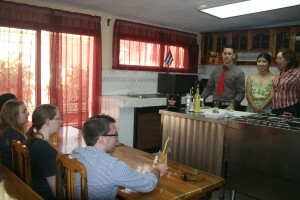 I volunteered to demonstrate the making of the mojito, trying to do exactly as the “teacher” did – though I must admit to improvising on the quantity of each ingredient I put in the drink. That aside, the drinks were made from the exact same ingredients in the exact same order. When we went to eat lunch, we were served non-alcoholic mojitos as we were on API time. However, little compensation was made for the lack of rum in the mojitos. It was simply replaced with extra seltzer while the amount of the other ingredients in the drink was kept the same. The taste of seltzer and bitters ended up stronger than desired in our drinks since the chefs adhered strictly to the traditional recipe and did not factor in that rum accounted for a significant portion of the drink’s flavor. 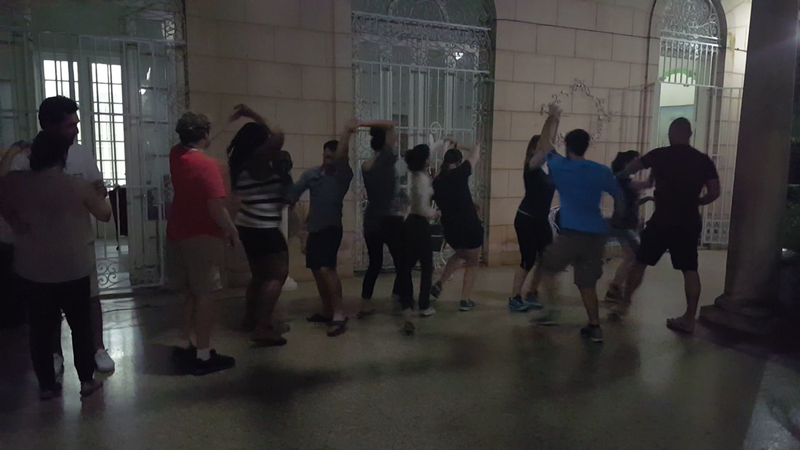 For our third destination, we paid a visit to the Cuban Literacy Museum. We learned about not only the situation within Cuba during its literary revolution, but also the involvement of Cuba with other nations. 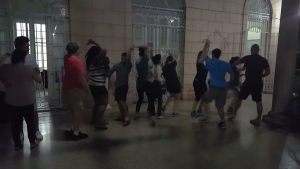 As we were all educated in the United States – a nation that has placed an embargo on Cuba – back home we were, for the most part, not taught historical perspectives that showed sympathy towards Cuba. 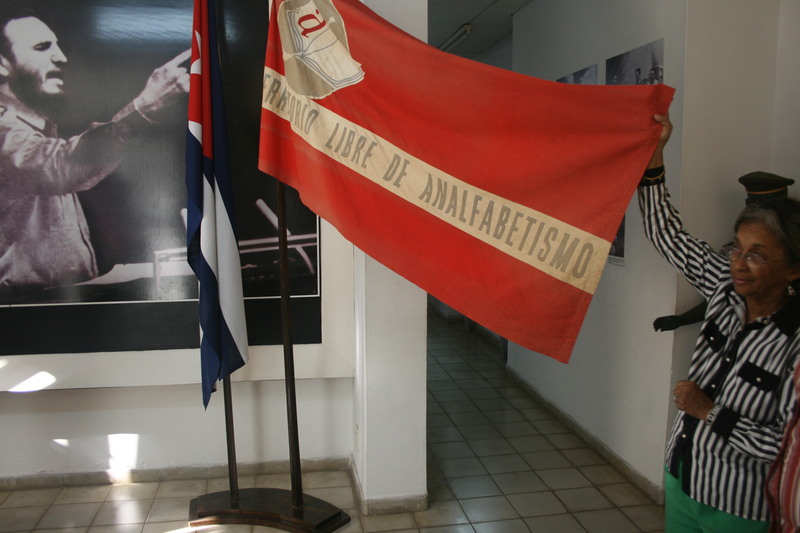 The museum drew a stark contrast between the American and Cuban perspectives. One example portraying such differences in perspective includes the Bay of Pigs Invasion. To Americans, this invasion was launched in attempt to stop the rising power of Fidel Castro’s communist government which posed a “threat” to our way of life. To Cubans, however, this invasion tried to show how we threatened their way of life by emphasizing that the invasion looked to remedy the overthrow of Cuba’s former absolute ruler, Fulgencio Batista, who was installed into power by the United States. With a basic understanding of both perspectives, we were told to form our own views on the situation. We ended the day with a Cuban salsa class in which we were taught the “easiest” routine. The instructor showed us all the steps and we were told to imitate. Once we had been taught all the steps, we – well, everyone but me (I don’t dance) – were told to partner up, practice, and perform that routine. I watched as my peers struggled to perform each step exactly as our teacher had shown us. But that’s the thing. Ever since we’ve been here in Cuba, we’ve been making sandwiches. Regardless of how we make our sandwiches, though, they end up being pretty much the same. We are given the same ingredients and the freedom to arrange them however we like by the government’s educational system. No matter how we ordered the ingredients, though, our sandwiches will all taste similar. We cannot add ingredients that were not provided for us. In a sense, this sandwich-making is what really opened my eyes to the political and social differences between Cuba and the United States. 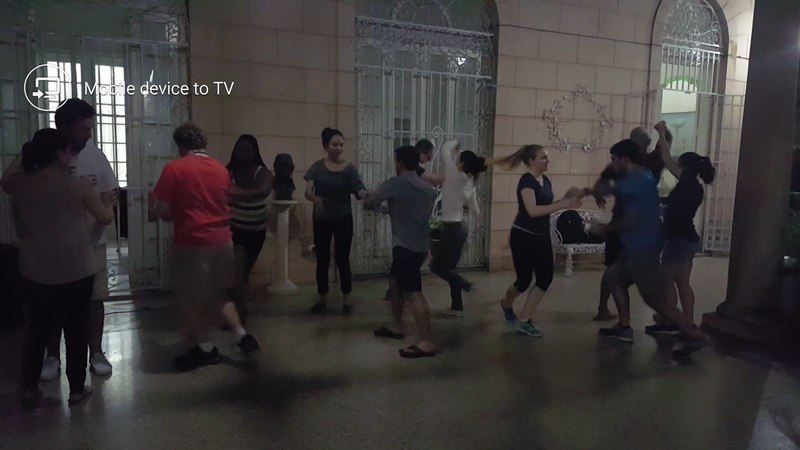 In Cuba, I felt a sense of artificial freedom. In other words, Castro tries to make his subjects feel as though they have freedom by allowing them to arrange their sandwich ingredients however they like. However, he manages to set parameters by providing certain ingredients and prohibiting other ones. Though every nation imposes some limitations as far as freedom goes, when I’m in the States, I feel a greater sense of personal freedom. My craving for a tuna sandwich does not stop you from getting one made of turkey. 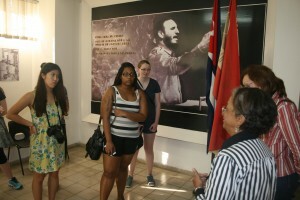 In Cuba, though, community is emphasized over individuality. If one person wants pastrami and another wants chicken, maybe everyone will settle on ham or bologna. When it comes down to deciding what kind of sandwich to eat, there is not necessarily a right or wrong. Every sandwich is a delicious sandwich. The United States prides itself on its ability to accept all different kinds of sandwiches. Why, then, do we shun Cuba on the basis that its sandwich-making ways differ from, and therefore threatens, our own? This is the Cuban sandwich – a sandwich just as wonderful as, though different from, our own. This entry was posted in Uncategorized by louise_wu@student.uml.edu. Bookmark the permalink.